Basement Water Seepage: How is the Water Getting in? In order to solve the problem, we have to know how the water is getting in. 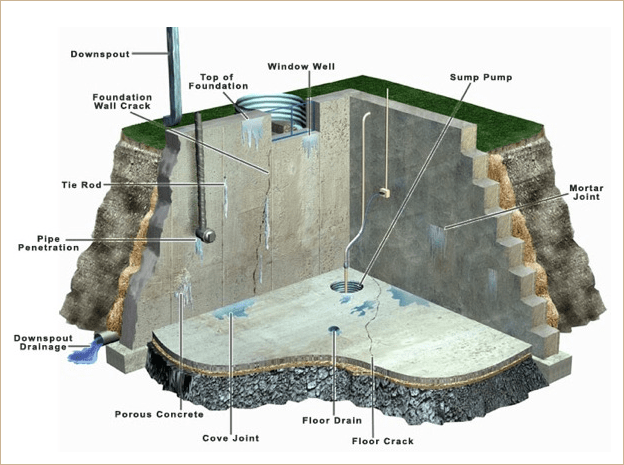 The above diagram shows all the ways water can infiltrate or seep into a basement. When a basement is finished with drywall, wood paneling, wood planking, finding out how the water is getting in is a lot more difficult because we can not see through drywall. Most of the time, the drywall or other has to be removed to find the source of the basement seepage or basement leak. Water can come over the top of the foundation because the landscaping is above the foundation. When this happens, water can cause a lot more problems than a wet Basement. 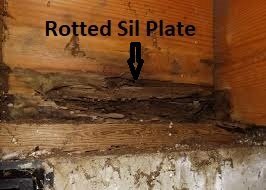 The sill plate can rot out and cause uneven floors. The sill plate is not an easy fix. The house literally has to be lifted to replace the sill plate. Visually the homes foundation should be visible from the outside. when you walk around the house, 2′ to 4″ of the foundation should be clearly visible around the entire perimeter of the home. If it is not, basement water seepage already exists or soon will exist. Water that comes up through cracks in the floor or at the COVE JOINT, where the basement foundation meets the basement floor, is almost always caused by HYDRO STATIC PRESSURE. In this scenario, if an existing interior or exterior drain tile was installed when the home was built it is probably failing and need to be to be replaced. Hydro static pressure has to be relieved by installing or replacing the existing drain tile. The drain tile will deliver the water to a sump pump and pit to discharged back to the outside of the home where it belongs. From Porous Foundation Walls, Penetration, Tie Rods and other Basement Leaks, Safe Seal deploys a wall seepage system that practically covers any situation where water gets through the foundation wall. The wall seepage system is part of the Water Redirection that will capture the water and deliver it to the drain tile system keeping the insulation, framing and drywall dry preventing the a possible outbreak of mold. It is a critical part of the Safe Seal System that will give you, the home owner piece of mind and and confidence to finish your basement and keep it dry and safe. If you are going to invest in a man cave or just a nice entertainment room, it should start with Basement Waterproofing System that will be the least likely to take on water now or into the future. The Safe Seal System is that System. 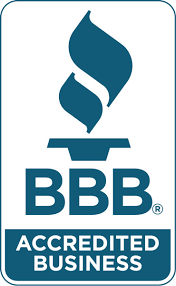 When it comes to Basement Waterproofing Chicago and the surrounding suburbs, Safe Seal implements methods the the “Other Basement Waterproofing Companies” can not use because they are either are a franchise or the are simply stuck in their ways. Safe Seal utilizes multiple sediment filters, the socked drain tile, porous lava rock to surround the drain tile that absorbs additional sediment which will keep the drain tile clear and working for a lifetime. 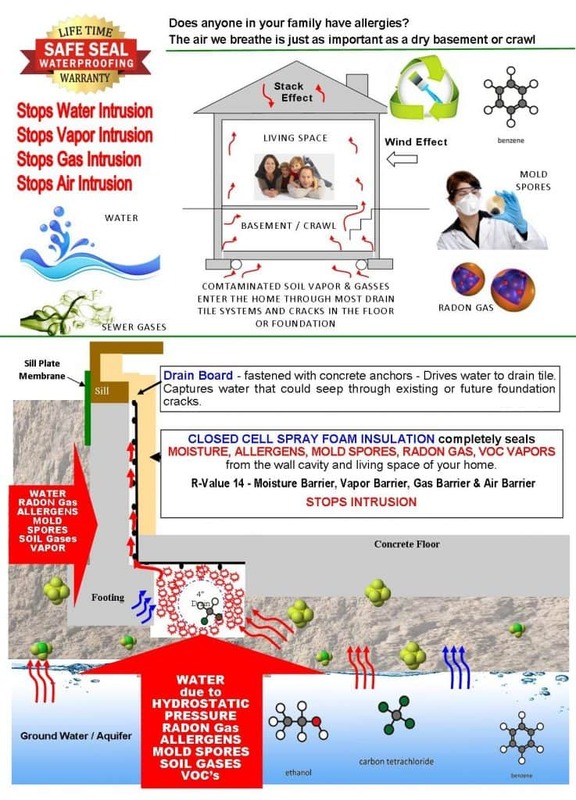 the Safe Seal Foundation Wall Seepage System. The Water Redirection System installed by Safe Seal will alleviate Hydro Static Pressure and capture any moisture coming from the foundation walls, driving it to the Interior Drain Tile System, to the sump pit and back out where water belongs. For the educated client who understands the importance air quality, Safe Seal offers to completely encapsulate the system with 2 Lb. Closed Cell Spray Foam Insulation. This will lock out unhealthy contaminants that get into our living space and the air we breathe. 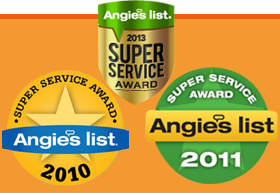 Examine the picture above until you understand how thorough the Safe Seal System is. Not only does the Spray Foam Insulation provide a vapor barrier it also insulate to an R-Value of 14. Once again, When does “good” or “better” become the enemy of the “best?” It is important to keep water from destroying your home and your belongings. Water intrusion is the most obvious, and while it usually can be visually detected, it can sometimes be felt due to high humidity levels. But what about harmful things we can’t see, feel, or smell? Radon, a gas that can cause lung cancer for example, is hard to detect because it’s an odorless gas. While it can be detected, it takes a special measuring device to determine if the levels are safe. Radon is not the only gas that comes from the ground/water. Industrial discharges, urban activities, agriculture, groundwater pumpage, and disposal of various wastes can all affect groundwater quality. Additionally, fuel and toxic chemical spills may enter the groundwater and contaminate the aquifer while pesticides and fertilizers can accumulate and migrate to the water table.